AKIPRESS.COM - Bangladesh border guards reported more than 11,000 Rohingya refugees crossing into their country from Myanmar on Monday, in a sudden surge, the United Nations refugee agency said. More than half a million Rohingya have fled Myanmar since Aug. 25 after insurgent attacks on security forces triggered a violent government crackdown, but the rate had slowed to about 2,000 refugees per day last week, aid agencies say, Reuters reported. 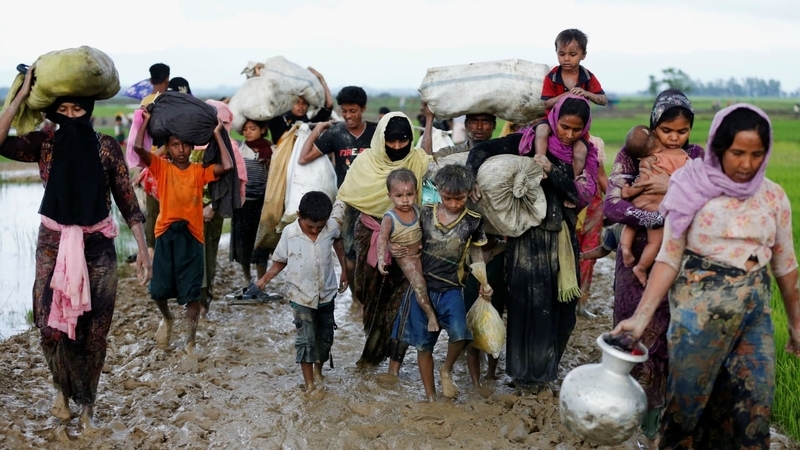 Many of the refugees are reported to come from the Buthidaung area in Myanmar’s northern Rakhine state, which is 20-25 kilometres east of Maungdaw. Meanwhile, a massive cholera immunisation campaign began on Tuesday near Cox’s Bazar, Bangladesh, aimed at protecting newly-arrived Rohingya and host communities from the disease which can be deadly, the World Health Organization (WHO) said. Some 900,000 oral vaccine doses will be distributed, including 650,000 in an initial 10-day campaign to be followed by a second round from Oct. 31 targeting 250,000 children between one and five years old, the agency said. There is a “clear and present risk” of the spread of cholera among the population. “Luckily, we don’t have any confirmed cases of cholera so far,” WHO spokesman Christian Lindmeier said.